Lemeshko Group – Page 2 – Theorists working at the interface of condensed matter, chemical, and atomic physics. We are based at the Institute of Science and Technology Austria. 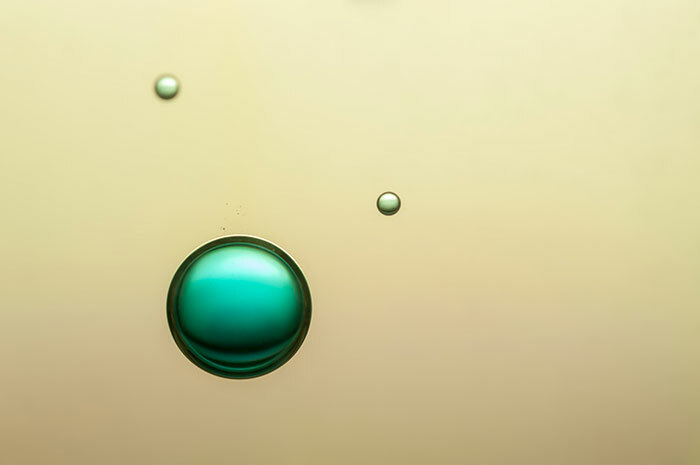 Enderalp Yakaboylu (Lemeshko group) and Andreas Deuchert (Seiringer group) demonstrated that a molecule rotating inside a superfluid behaves as a non-Abelian magnetic monopole. On August 22, Mikhail Lemeshko has been awarded the Ludwig Boltzmann Prize of the Austrian Physical Society for his pioneering work on the angulon quasiparticles. 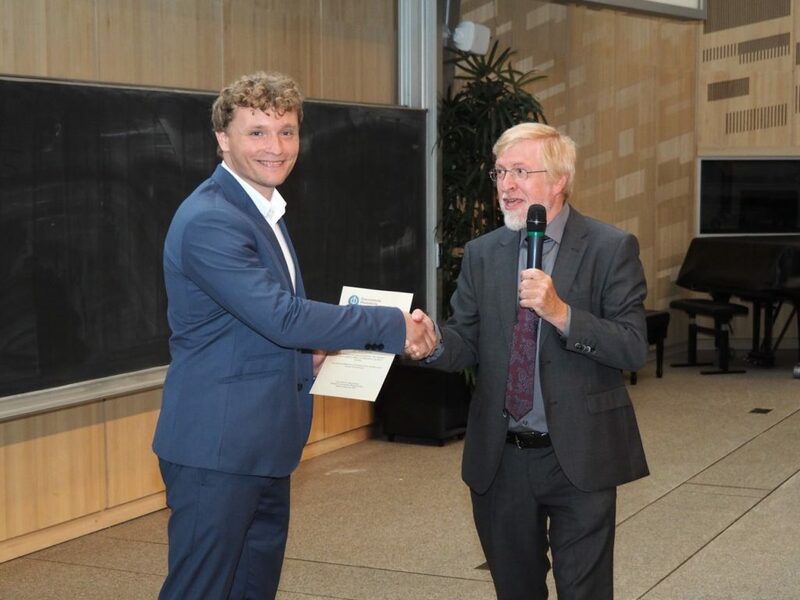 Established in 1953, the prize is awarded once every two years to honor outstanding results achieved by a young researcher in theoretical physics. For more information see the IST press release. 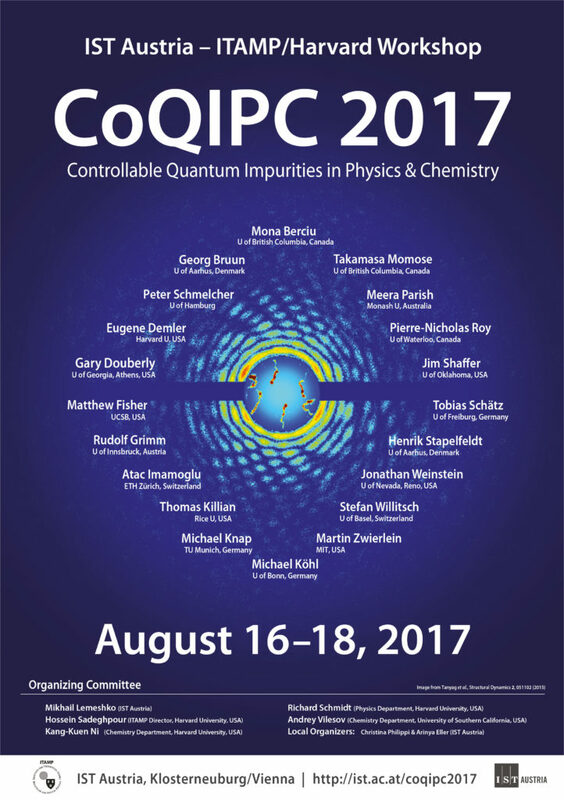 This summer we are organizing a workshop “Controllable Quantum Impurities in Physics and Chemistry” (CoQIPC 2017), together with the Institute of Theoretical Atomic, Molecular, and Optical Physics (ITAMP, Harvard University). The workshop will take place August 16–18 at IST Austria (near Vienna). We aim to bring together people working on quantum impurities in ultracold gases, solid state systems, helium nanodroplets, and beyond. Interestingly, the revival of alignment observed experimentally can be explained as a rotational revival of the angulon quasiparticle. The theory was developed by Dr. Jan Kaczmarczyk, a postdoctoral fellow in our group.